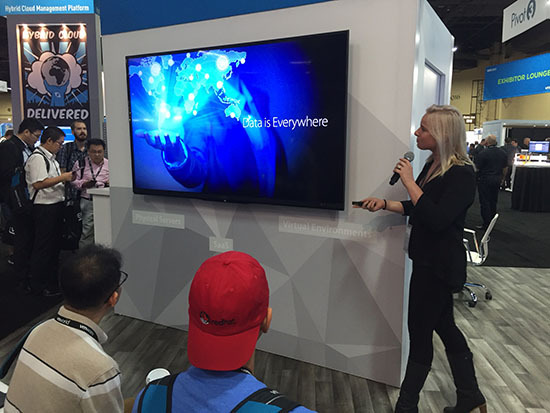 Our team is in Vegas this week for VMworld US 2016. We're in booth #2239 on the Solutions Exchange Floor, and we've been busy talking to visitors about our solutions for VMware, vCloud Air, and other virtual and public cloud platforms. We also have our Intronis team there to demonstrate Intronis MSP Solutions by Barracuda. We're not just in the booth, either. Rod Mathews, our SVP and GM of our Data Protection Business, will be giving a presentation today (Wednesday, 8/31) at 10:50am PST in Theater A on the Solutions Exchange Floor. His presentation focuses on how to protect data now that it's everywhere. Rod also joined the hosts of theCUBE yesterday to discuss data security issues. Barracuda NextGen Firewall F Vx: Protect your network with a powerful next-generation, application-aware firewall that also offers best-of-breed intrusion prevention, site-to-site and client-to-site VPN, content filtering, and intelligent traffic prioritization. The Barracuda NextGen Firewall is designed specifically for highly distributed, virtual environments. Barracuda SSL VPN Vx: Enable remote users to access your corporate network from any web browser, wherever and whenever they are working. Barracuda Email Security Gateway Vx: Safeguard your organization’s confidential email communications while also preventing spam from infiltrating your users’ inboxes, or unintentionally and covertly leaving your organization. Barracuda Web Security Gateway Vx: The Barracuda Web Security Gateway Vx virtual appliance delivers powerful web security and policy enforcement for virtual environments. Organizations that are concerned with the compute-intensive nature of web proxies will find the Web Security Gateway Vx ideal for scaling performance. Barracuda Load Balancer ADC Vx: The Barracuda Load Balancer ADC Vx intelligently monitors server resources and leverages Global Server Load Balancing to optimize application delivery. It also offers superior protection against Layer 7 threats such as SQL injections and cross-site scripting attacks. Barracuda Web Application Firewall Vx: Keep all of your critical applications and web servers safe with up-to-the-minute protection against web-based attacks. The Barracuda Web Application Firewall Vx is purpose-built to provide comprehensive, real-time protection from web-based attacks. Barracuda Backup is an all-in-one data protection solution that seamlessly protects both physical and virtual environments. Barracuda Message Archiver Vx: Enhance user productivity and reduce cost and risk by simplifying user access, email management, eDiscovery and compliance. Barracuda Message Archiver Vx is ideal for organizations looking to reduce their email storage requirements and boost user productivity with mobile or desktop access to any email ever sent or received. Barracuda Vx solutions are also optimized for virtual environments with technologies such as Barracuda LiveBrowse for VMware, LiveBoot, and Cloud LiveBoot for VMware. 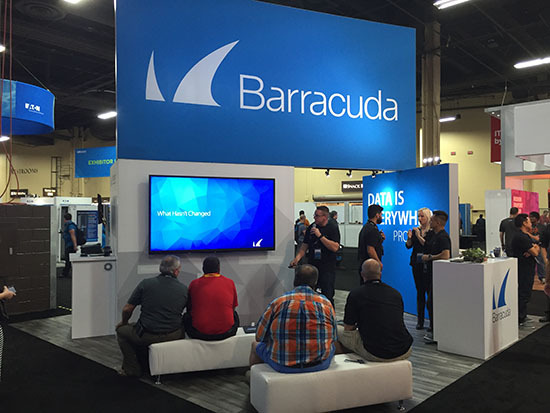 Barracuda also provides solutions for VMware vCloud Air. VMware vCloud Air is a public cloud platform built on the foundation of vSphere, and it’s compatible with on-premises virtualization deployments. The Barracuda NextGen Firewall F, Barracuda Web Application Firewall, Barracuda Email Security Gateway and Barracuda Message Archiver, have achieved VMware Ready—vCloud Air status. This designation indicates that the products have undergone technical validation within the vCloud Air environment, and are supported on VMware vCloud Air. Visit our corporate site here to order a risk-free, 30-day evaluation of any of our solutions.